As a military historian, Sidney Allinson wrote The Bantams: The Untold Story of World War I published by Howard Baker, London, England, in 1981, reprinted in 1985. A Canadian edition appeared from Mosaic Press in 1983. 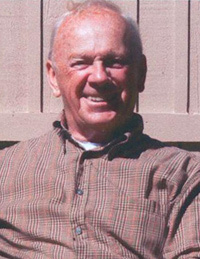 As president of the Pacific Coast Branch of the Western Front Association, Allinson republished the work in 2003 with Xlibris Corporation in Philadelphia. The Bantams was republished by Pen & Sword Books, UK, in 2009. It's the story of how the British and Canadian armies recruited over 50,000 men (2,000 from Canada) below the regulation minimum height of 5 ft. 3 in. to serve as front-line soldiers during World War One. English and Scottish Bantams fought along the Somme front, Welsh Bantams helped win the Battle of Bourlon, Canadian Bantams served at Vimy Ridge and other later battles. The 143rd B.C. Bantams was recruited from Victoria, B.C. in only a few weeks. Allinson contacted 300 survivors of the Bantams for first-hand accounts of battle. The history is dedicated to his father, Thomas William Allinson (1898-1976), who fought in The Great War, 10th Battalion, The Green Howards. Before Commonwealth Publications in Edmonton "scampered into the hills", leaving countless pay-for-publication authors in the lurch, they issued a press release for a 19th century historical novel by Allinson entitled Jeremy Kane. It's about the 1837 Mackenzie-Papineau Rebellions and the little-known imprisonment of Canadians and Americans in Australian penal colonies. That historical novel set in 19th-century Canada and Australia was published by Xlibris of Philadelphia in 1998. Another Allinson novel, Kruger's Gold: A Novel of the Anglo-Boer War, is about a Canadian volunteer from Victoria serving in the British Army. It was published by Xlibris, Philadelphia, in 2001. Born in Durham, England, Sidney Allinson served overseas with the Royal Air Force, then came to Canada and became creative director of two international advertising agencies, and communications policy advisor to the Ontario Government. He is a past Director of the Royal Canadian Military Institute, and received the Boulter Award for outstanding historical writing. A longtime resident of Toronto, he moved to Victoria, B.C. in 1991 where he has written freelance feature articles and presented seminars on marketing of creative skills. Allison has been at work on a novel about the 1942 Dieppe Raid.